How I love December and all it brings. Most particularly the chance to sew gifts for little girls. Pink, pink, pink, pink, pink, pink, pink, pink, pink, pink. (Permission to slap me: granted). This is a little party skirt I made for one of my nieces. Its a two-layered, gored skirt with a yoke and elasticised waist. The over-skirt gores have nice vertical gathers, using elastic. I had so much fun making this. 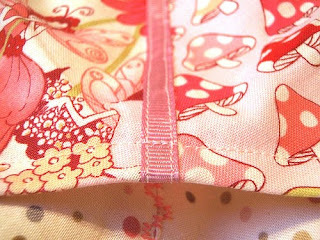 The over-skirt seams are embellished with a bit of pink ribbon. ... I must admit the yoke cutting was a bit slipshod. Headless sprites, anyone? Hopefully my 5 year old niece hasn't noticed the decapitation situation. The pattern I used for this little skirt is by Farbenmix. 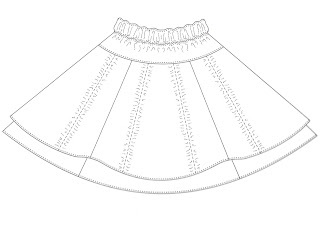 The Insa skirt pattern is available individually or as part of the book "Sewing Clothes Kids Love" [Langdon & Pollehn, 2010 Creative Publishing International]. If you a fan of the whimsical Farbenmix childrens' patterns, the book is a great way to purchase a selection of patterns. There are 10 patterns all sized from babies 18 months through to kids size 12. And the designs are gorgeous. Skirts, dresses, leggings, shrugs. Frills, flounces, ruffles. So much pretty eye candy. Hmmm ... Clothes Kids Love, you say? It might not be the sort of book you'd invest in if you had say, eight or nine sons. None of the designs are specifically for those of the more Y-chromosonal-persuasion and only a couple of the 10 are unisex (that is, unless your boy child is open to wearing something twirly called the Feliz Party Dress). 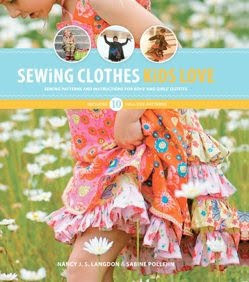 If you would like to enter my 2011 Sewing Calendar giveaway, click here. I'd be more likely to buy a book with your alternate title! I definitely need a book to cover the y chromosomes. 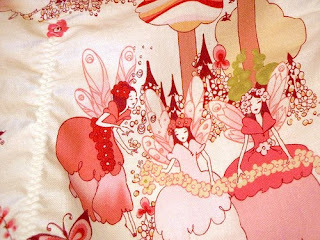 I so wish that I had a niece so that I could decapitate fairies too! 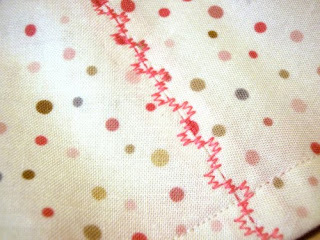 I love your fancy scmancy cardiogram stitch... and of course the medical reference is sure to tickle my fancy. Loving that cardiogram stitch. Who needs a more fancy schmancy name than that? I love the skirt!! Hopefully I will have a little girl to make one for one day! Until then, I will just have to wait until my best friend's little girl gets a little bigger! Oh, what a surprise to see something familiar here! I'm a mother of two girls and fell in love with Feliz, as you may have recognized if you've had a look an my blog during the last months. The skirt is WONDERFUL! I´m so happy to see varietys of the pattern! Thank you for the pictures! I love it! 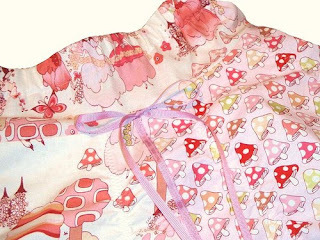 The fabric is so perfect for a little girl. 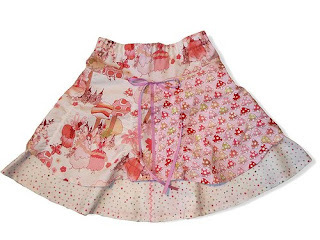 Such a gorgeous skirt...I'm really going to have a girl next time, much prettier clothes! The skirt is just the thing, you must now be Best Aunty Ever. I have that book, but haven't had a chance to really get into it yet - am itching to make the dorje (sp?) pants for autumn. Love your cardiogram stitch too - it's like a skirt sampler kit! Its looks nice i like it most thanks for share it. Keep it up.